Agency, 22 November : Bollywood superstar Amitabh Bachchan has cleared more than $560,000 worth of debt owed by farmers, amid a wider agricultural crisis that has forced many rural workers into extreme poverty. In a blog post on Tuesday, he wrote he had “taken care” of 1,398 farmers in the north Indian state of Uttar Pradesh, where Bachchan was born, by paying off their debt. “Gratitude leans across to the desire of removing some of the burdens that farmers continue to suffer from…and the inner peace it generates when the desired is completed,” Bachchan wrote. He added that banks had issued the farmers with a one-time settlement document and certificate. More than 50% of India’s population is involved in the agricultural and allied sector, which contributes 18% of the country’s GDP. Indian farmers have battled against a variety of hardships in recent years, brought about by a combination of monsoon-damaged crops, rising fuel costs and lack of adequate state support. As a result, thousands of farmers have fallen into debt. Government data indicates that 11,772 farmers across India committed suicide in 2013, the most recent available data, equal to 44 deaths every day. He also hosts the Indian version of “Who Wants to Be a Millionaire” and recently spoke about his intentions to help farmers in Uttar Pradesh after a farmer appeared as a contestant. “…recently in Maharashtra, I have ensured that the loans of around 360 farmers have been paid off to the banks. 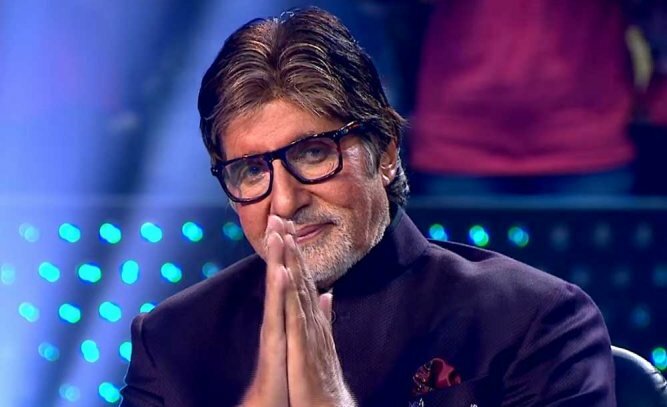 My next step is to help clear loans of approximately 850 farmers in Uttar Pradesh,” Bachchan said on the show. “I would urge people to understand the plight of our ‘anna-data’ (farmers) and the kind of hardships they are facing. I do not want to boast about myself but I want everyone to help our farmers who face the shortage of even having basic necessities,” he added.